A celebration recognizing over three decades of service and philanthropy will soon be underway as Leadership 100 celebrates the 35th anniversary of its founding, according to greekreporter.com. The festivities will be held during the 28th Annual Leadership 100 Conference, on February 21-24, 2019, at the Boca Raton Resort & Club in Florida. The opening forum, on Thursday, February 21, will feature a traditional Bible Study to be conducted by His Eminence Archbishop Demetrios, Geron of America. A Health and Wellness Panel will follow the afternoon luncheon. The day will conclude with a musical concert, titled “Celebration 35”, which will feature the acclaimed Greek singer Giorgos Lianos, produced by Aphrodite Daniel, Director of SynPhonia Entertainment. The next day, February 22, will include a General Assembly, a lecture by His Eminence, and a luncheon as well as business forum addressed by George Veras. On Saturday, February 23, events will include a brunch and special forum conducted by Stellene Volandes. There will also be golf and tennis tournaments and awards, and a Walk/Run race. The day’s events will conclude Saturday evening with a Black-Tie Grand Banquet at which the “Archbishop lakovos Leadership 100 Award for Excellence” will be announced. Leadership 100 has a great deal to celebrate as it turns 35 with more than 1,000 active members, who all pledge $100,000 to the charity. This 501(c)(3) organization supports the National Ministries of the Greek Orthodox Archdiocese in advancement of Orthodoxy and Hellenism. Since 1984, when it was first established under the guidance of Archbishop Iakovos, the organization has distributed over $50 million in grants supporting studies for the priesthood at Hellenic College/Holy Cross School of Theology and other national ministries. It has given donations to Religious and Greek Education; Youth, Young Adult and Camping Ministries; Family and Marriage Services; Inter-Orthodox, Ecumenical and Interfaith Relations; Internet Ministries; and Home Mission. 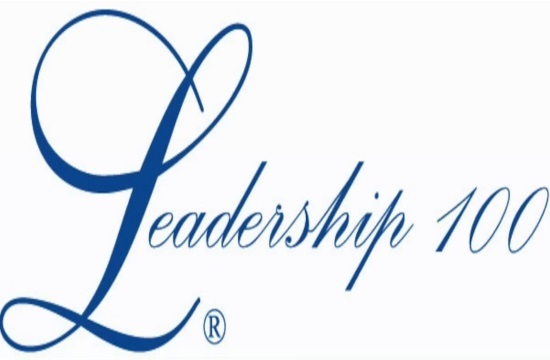 Leadership 100 has also provided humanitarian help during national and international crises.